Get ready for your Spring and Summer adventures with a test drive of one of the new Jeep models available at Antioch Chrysler Dodge Jeep Ram. Enjoy the Jeep 4X4 Day near Gurnee, Illinois with Antioch CDJR. We have the latest 2018 Jeep models with accessories you’ll enjoy all year long. 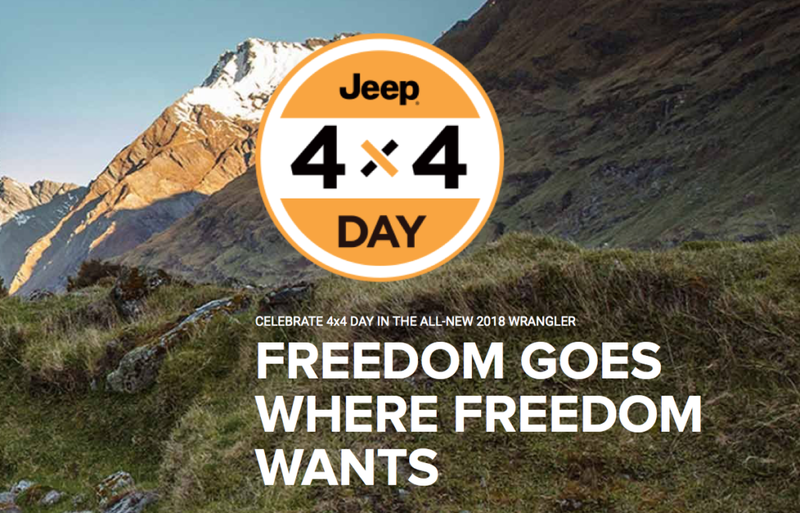 Take a break from the long grind today and stop in to enjoy the Jeep 4X4 Day with us near Gurnee, Illinois. We look forward to seeing you soon!